I went shopping yesterday very quickly after work. I typically don’t step foot in H&M in Manhattan considering it typically involves quite a lot of pushing and waiting. The windows drew me in though and I ended up finding a lot to try on. Now, typically my H&M experience also involves hating 3/4 of what I take into the dressing room but this time I was pleasantly surprised. Let’s just say there is a lot of pattern and a lot of peplum and the fit is exponentially better (most notably that I can actually wear their dresses in public because they fit me length wise). Score! I’ve been pretty unpleasantly surprised by the weather here in NYC this week. Since I spent the majority of the weekend sifting through my summer clothes and officially putting away the winter, you could imagine my disdain waking up shivering this morning. I bet a lot of you are having the same problem as I am. I’m happy that I kept some warmer items just in case I encountered a chilly summer evening where I would be spending time outside. 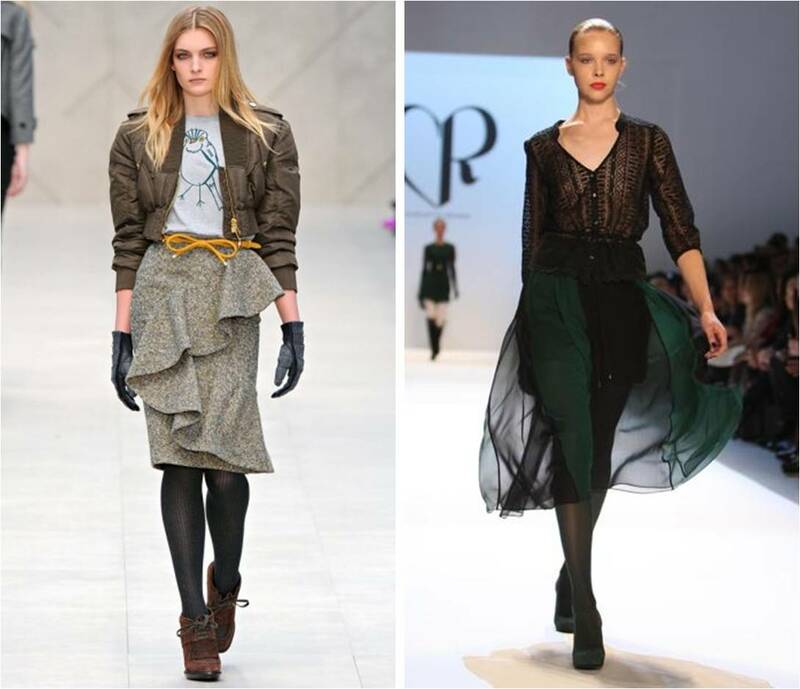 Here are some ways I will be injecting some fall pieces into my summer wardrobe. If you talk about the most stylish women in the world right now, Olivia Palermo is seriously up there. It seems like she won’t step out of her house without wearing an outfit envied by all fashion lovers. I felt that it was time to finally pay homage to the woman I look to for fashion tips all the time. I think I’ve pinned every image ever taken of her, and that’s not stopping anytime soon. Olivia, thanks for being an inspiration to us all! Happy Friday! I’m changing up weekly faves a little bit today. Between New York Fashion Week, London Fashion Week, and Milan Fashion Week I have had a whole lot to catch up on. I was able to take a little time this week and look back on my favorite collections and pieces; here are the favorites. On another note, yesterday was a huge day for the blog and I’m really happy to have so many amazing readers. Thank you all for helping me far surpass the goals I have set for this little ol’ blog of mine! This is going to be the last fashion week update I do because I can’t wait any longer to post this and I always save the best for last. I’ve talked before about my obsession with Alice In Wonderland, anything that reminds me of the Mad Hatter has my heart immediately. 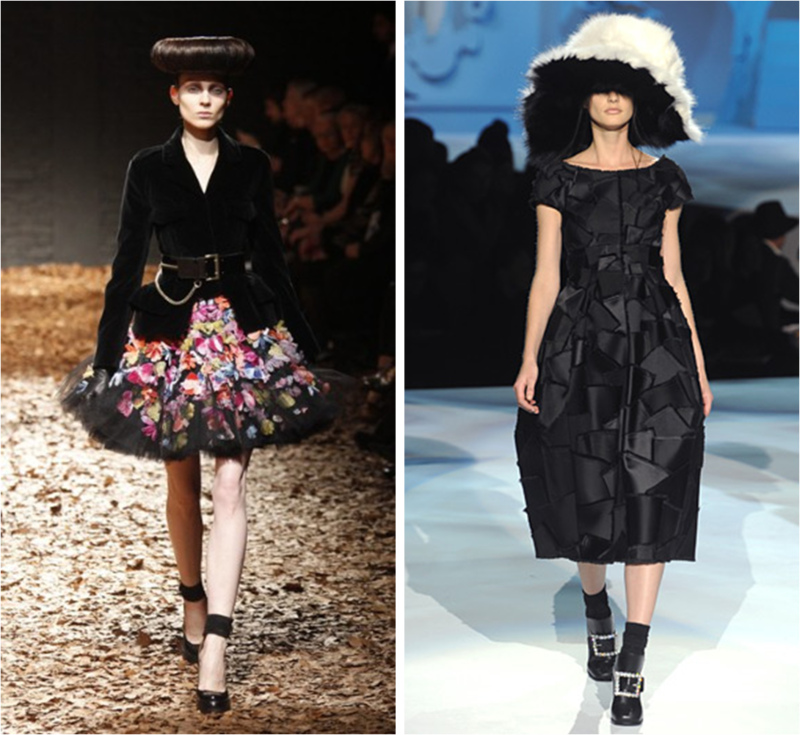 If that Mad Hatter is brought to me by one of my all time favorite designers, it’s even better. 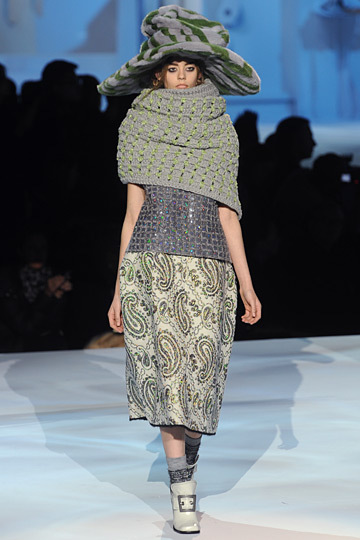 Marc Jacobs, I love you for this show. I’m ashamed to say that I only recently (like, last year) started shopping J. Crew. Now I can’t get enough. Clean lines all day everyday, not to mention the greatest silk button downs on the planet. Plus, basically everything is offered in tall! I love the coloring of this fall 2012 collection. The whole thing seems so simple but J. Crew is the only one who can execute this style oh so perfectly. And just wait until you see menswear, I guarantee every guy in your family will be shopping there come May! 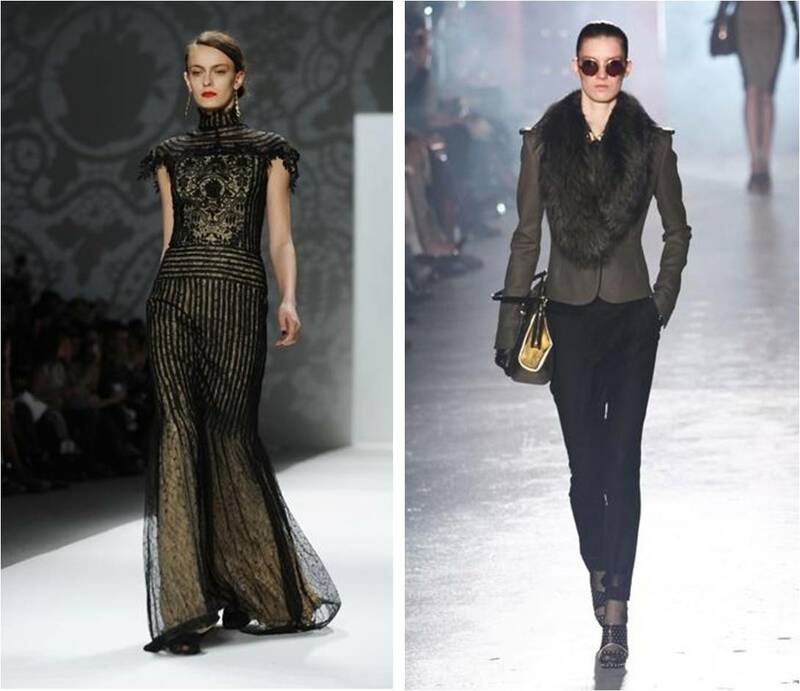 Two of my favorite lines, Honor and Tadashi Shoji, showed yesterday at NYFW. I couldn’t be more excited to share my favorite images from both of these shows. First up is Honor. Lots of bright colors and patterns including a gorgeous electric blue jacket as well as a black and electric blue polka dot blouse that’s to die for!